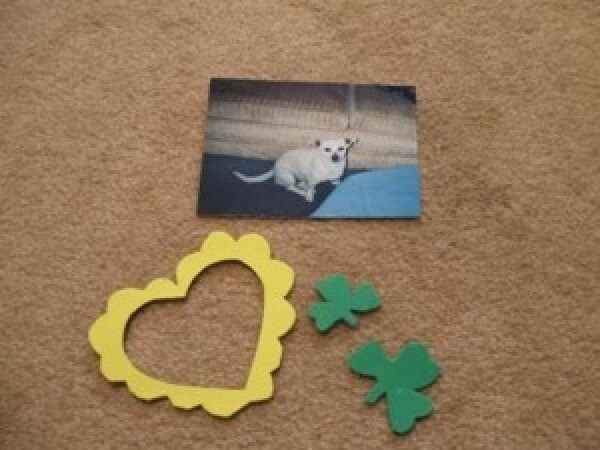 This is a guide about making a St. Patrick's Day magnetic photo frame. These magnetic frames are great for displaying a photo of your child! Here's a cute magnetic frame that kids can make for the fridge. 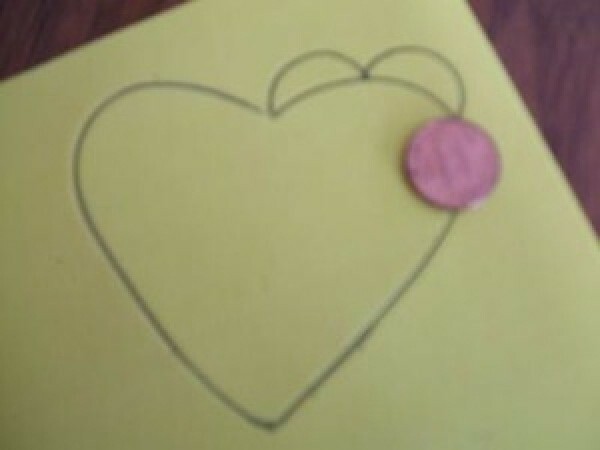 Use the penny to create a scalloped edge around the heart (as shown) and cut out. Cut out the inside of the heart, leaving about a half-inch wide frame. 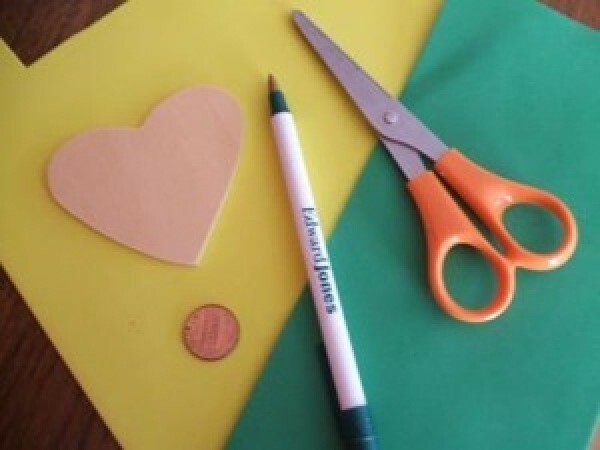 Draw two or three shamrocks on the green craft foam and cut out. 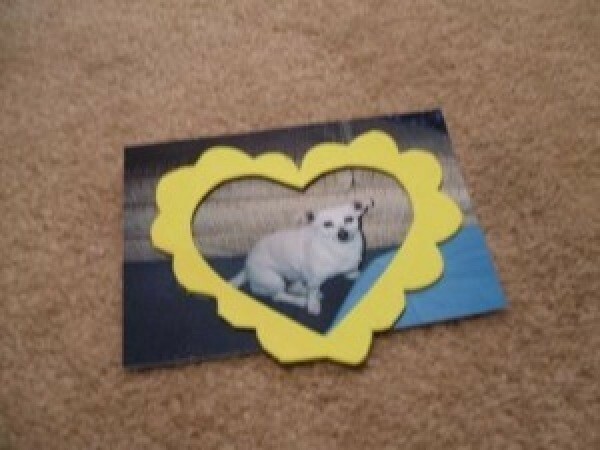 Cut a photo to fit within the heart and glue to the back of the frame. 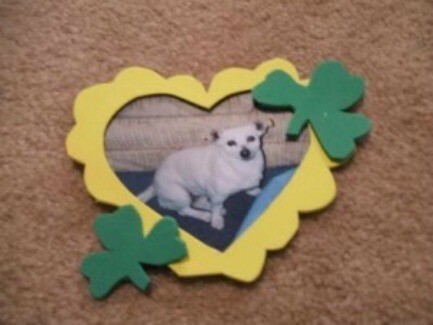 Glue the shamrocks around the frame. Cut a piece of magnetic strip and glue to back.